One of the first things that I do whenever I'm in overload (and in need of a change) is make a list. I'm a list kinda girl. I don't always do what they tell me, but it's a great way for me to get down on paper what needs to be done and/or how it will be accomplished. I'd love to hear from you - what advice or suggestions do you have for what would come next? In other news - I found a practically brand new green chalkboard at the CCA Thrift store in Lewisville. It was only $6.50! You know how teens say this, with the eye roll and flick of the hand, right? Well, they may just have something there! In a little less than 2 weeks, we will be celebrating my son's fourth birthday. That's not so unusual you say? Well, normally you'd be right! The difference is that he only lived 3 months and 2 days, so he doesn't get to celebrate with us, at least not here on earth! A week before he passed away, we visited a pumpkin farm and it took FOREVER to get this shot! So glad I perservered! In the first few months after his death, I was in shock. I was numb in a painful way, trapped in those last few days of his life. I was unable to escape the scenes flashing though my head - the way he looked when I found him, little drops of blood in his eye sockets, the 911 call, my calm response on the outside when my insides were screaming. The 20-some-odd calls I made to my husband's cell phone, trying to reach him at his business dinner. The trip to the ER with my Morman neighbor listening to me pray "I speak LIFE in the name of Jesus". The way that over 25 people from my church showed up to the ER and beat us there, the moments of hope when he seemed to respond, the moment of sorrow when they said his core temperature was 93 degrees. The rush of releif and emotion and guilt that washed over me when I saw my husband arrive, the tears and fear of what might be happening to us. The hope again that he was being transfered to Children's Medical Center in Dallas, the crash of fear when he began having seizures and they had to wait. On and on the scenes went, for 3 days and 3 sleepless nights, a flood of people visiting, a flood of phone calls, the ups and downs of Doctor's telling us it didn't look good and nurses telling us they had seen worse cases survive. The shocking visit of the Child Protective Services worker, demanding to see our children, then the 4 hours we lost in the interview room when we should have been by our son's side. The painful process of signing away our older children to a close friend to avoid them being taken away and placed with strangers. We were supposed to be at the photography studio on this day, having pictures taken for Christmas cards. It would have been our first family pic with Ian. This turned out to be our only family picture with him. More than any other, the scene that persisted was my attempt to sleep on the couch in his room, waking every few minutes to pray "God please save my baby! Please take me, let me trade with him!" then drifting back for a few minutes of exhausted rest. When the time came to remove life support, I really thought in the back of my mind that this wasn't happening. In strange duplicity, I had peace and calm about letting him go, and at the same time truly believed that we would experience a miracle, that he would be fine, perfectly restored. I know that sounds strange, but that's really how I felt! Ian's eyes opened an hour or so before we removed life support. At first we thought it was a good sign, but then we just took it as a blessing to see those beautiful baby blues one more time. After the funeral, the flurry of cards, the meals from friends... We were alone. Alone with our memories. Alone with our grief. That's when the torment in my mind started. The what ifs and if onlys. The replay, endless play-by-play with slow motion. I couldn't escape! Now, I know by now you are depressed and crying (I sure am!) That's not the reason I wrote this, honest! There were several moments in the ICU that I heard God speak to me. One time was when I aske: "how am I going to do this? How am I going to break my children's heart by telling them their beloved baby brother is dead? How am I going to survive this oppressive grief that is already filling me and he's still in my arms?" The still voice came: "you will hear a voice saying 'this is the way, walk ye therin'" and I had said OK then. I desperately cried out, asking for guidance in those horrid replay days. Whatever is True. It is true that I loved Ian with all my heart. It is true that I did all I could to protect him. It is true that I did all I could to save him. Whatever is Honest. It is honest that I would have gladly traded places with him. It is honest that I don't understand why God's answer was "no". It is honest that God is good. It is honest that I can trust Him. Whatever is Just. (this was a hard one at first, there doesn't seem to be anything "just" in losing a child!) It is just that I, as a sinner, should die for my sins. But the free gift of God is eternal life through Christ Jesus. In that eternity, I will hold my son again. Whatever is Pure. Ian was pure. He was pure joy! Every moment we spent with him was pure! Whatever is Lovely. His eyes - those baby blues - they sure were lovely! His curly hair, with a red tint just like his dad's - that was lovely! Whatever is of Good Report. (well - another toughy!) It is of good report that I will see him again. It is of good report that I managed to get out of bed today. It is of good report that we have friends and family who love us. There were many nights that I would stare at my bedroom wall, listening to my husband sleep, crying and barely breathing as I went throught this verse. Sometimes I would go through it 20 times or more, until I would finally be granted restful sleep. I don't know when it happened, but along the way it became easier to think of good things. I was less and less plagued by the haunting memories. I was no longer trapped in that 4 days. I have never forgotten them, nor do I want to. They are part of his story. They are part of my story. They make me what I am today. Perhaps today you are plagued by memories. Maybe they were horrible, maybe they weren't your fault. Maybe you still think they were your fault. Maybe you actually were responsible for some of them. It doesn't matter - we serve a God who knows all and sees all. He is not suprised by our weakness or shortcomings, in fact His word says that His strength is made perfect in our weakness (2 Corinthians 12:9). That same verse says that His GRACE is sufficient for us. Grace is "unmerrited favor" - in other words, we can't earn it, no matter how hard we try, we can't deserve it more or less. It's given to us! Sufficiant means "enough" or "abounding". Will you accept that today? Will you allow God's unmerrited favor to be enough for you? A friend posted a Facebook entry today: "God has forgiven you - don't you think you should too?" Once you know you're forgiven, then you too can say "Whatever!" Those memories don't go away, but what you feed will grow. I know - that's deep huh? It's a proven fact, what you feed will grow, what you starve will die. Choke out that stronghold memory in your life by refusing to "feed" it. Don't pay it any attention, focus on the good, pure, true and lovely things instead. My dear friends, If I - weak and helpless, heartbroken in the worst way known to mankind - can survive, and thrive and live to cheer you on - then I KNOW you can do it too! 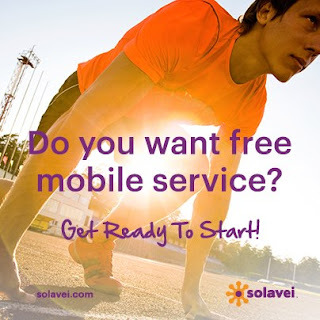 If you pay more than $49 a month for your cell service, you can SAVE money with Solavei. 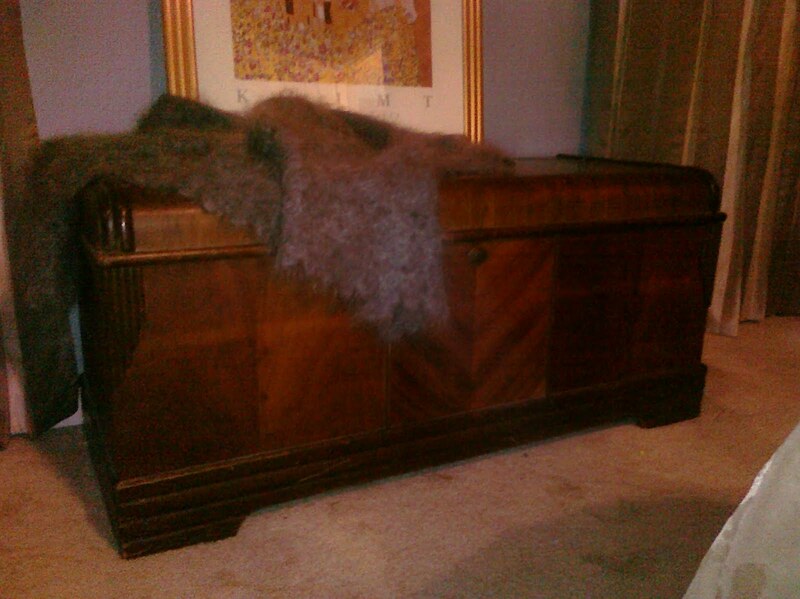 Here is my Hope Chest, I bought it on one of my husband and my first long trips. We drove to Illinois to introduce our firstborn to his grandparents. This beauty was in an antiques store on the town square, we reaaranged our van so we could drive home with it! I've really felt a pull to use this as a family altar, and wouldn't that be a fabulous way to use it in the mean-time? What family memories could be built here, and the prayers prayed for our children would shower this chest. I'm even more convinced that this is the way to go, now that I've decided to use this as Jordan's Hope Chest. I've already been using it to store family heirlooms, like the christening gown and special baby clothes. I hope that you've enjoyed a peek at my Hope Chest, and I encourage you to head over to Raising Homemakers where they are giving away 3 copies of a new book about this very topic! Four our tenth wedding anniversary (in 2006) William and I had a vow renewal ceremony and party. Please join William and Noel Giger as they celebrate their tenth wedding anniversary with a throw-back to the golden age of Hollywood, Swing Music and Big-band Supper Clubs. Period attire is optional, but encouraged! Here is the vow renewal wording that we used. We modified a hand-fasting ceremony because we loved it! Today we are celebrating William and Noel’s tenth wedding anniversary. In honor of this occasion, they have decided to renew their wedding vows. William and Noel, will you please step forward and face each other. William, will you take Noel to be your wife? Will you promise to love, comfort, honor and cherish her, in sickness and in health, and forsaking all others, stay true to her, as long as you both live? Noel, will you have William to be your husband? Will you promise to love, comfort, honor, cherish and obey him, in sickness and in health, and forsaking all others, stay true to him, as long as you both live? I, William take you Noel, to be my wife, to have and to hold from this day forward, for better for worse, for richer for poorer, in sickness and in health, to love and to cherish, until death separates us. Because of that, I offer you my hands. Noel, please hold William’s hands palms up, so you may see the gift that they are to you. These are the hands of your best friend, still young and strong and vibrant with love, that are holding yours on this day, as he promises to love you all the days of his life. These are the hands that will work along side yours, as together you continue to build your future, as you laugh and cry, as you share your innermost secrets and dreams. These are the hands that will comfort you in illness, and hold you when fear or grief engulfs your heart. These are the hands that will tenderly hold your children. These are the hands that will help you to hold your family as one. These are the hands that will give you strength when you need it. These are the hands that will tenderly lift your chin and brush your cheek as they raise your face to look into his eyes: eyes that are filled completely with his overwhelming love and desire for you. Noel, this man whose hands you hold is your husband. He depends on you. He will lean on your life, your love and devotion for strength and inspiration. He is going to look to you for encouragement, for cheerfulness and confidence. No matter what the world may say or think, people may forget him, lose confidence in him, and turn their backs upon him, but you must not. May your life and your love be the inspiration that will constantly lead him and encourage him to be all that he wants and is capable of being. I, Noel take you William to be my Husband, to have and to hold from this day forward, for better for worse, for richer for poorer, in sickness and in health, to love and to cherish, until death separates us. Because of that, I offer you my hands. William, please hold Noel’s hands palms up, so you may see the gift that they are to you. These are the hands of your best friend, smooth, young and carefree, that are holding yours on this day, as she pledges her love and commitment to you all the days of her life. These are the hands that massage tension from your neck and back in the evenings after you’ve both had a long hard day. These are the hands that will tenderly hold your children, that will help you to hold your family as one. These are the hands that will care for you and make your home a haven, where trust, love and laughter are abundant. These are the hands that will give you support as she encourages you to chase down your dreams. Together as a team, everything you wish for can be realized. Lastly, these are the hands that even when wrinkled and aged will still be reaching for yours, still giving you the same unspoken tenderness with just a touch. William, this woman whose hands you hold is your wife. She has given you one of the most sacred things under heaven: a woman's love. You may bring her great joy or cause her deep sorrow. It is not what you bring her in a material way that will make true happiness--riches without love are nothing. The gift without the giver is bare. As her husband, continue to practice those same virtues that you have shown her up to now, and they will keep her heart won to your heart. And in Psalms 127:3, the Bible tells us “Don't you see that children are GOD's best gift? 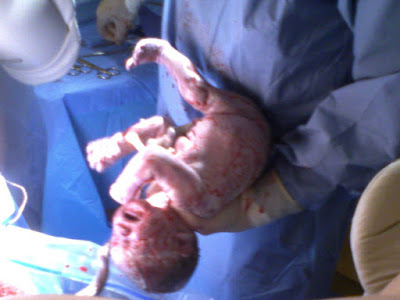 the fruit of the womb his generous legacy? God has blessed Noel and William’s marriage with 3 children, one is still being formed, and the other 2 are already here celebrating with them. Now, Noel and William, please hold Calvin & Jordan’s hands, palms up, where you may see the gift that they are to you. These are the hands of your children that you are holding on this day, each a gift from God. These are the hands that will love and respect you all the days of your life. These are the hands that will fill your life with laughter and make you proud that you are their parents. These are the hands that will share in making your house a home filled with happiness. These are the hands that will often challenge you as they search for independence, but will always respect you as they grow into maturity. These are the hands that will reach to you for guidance and will honor you by growing into respectful and caring adults. These are the hands that will learn to parent from you. These are the hands that will care for you when you are old and let you know that you have not been forgotten. It is my pleasure to re-introduce to you, the Giger family, Mr. & Mrs. William Giger and their children Calvin and Jordan. That morning I had lost my best friend, Laura Belt. The portions about grief were especially poinent. 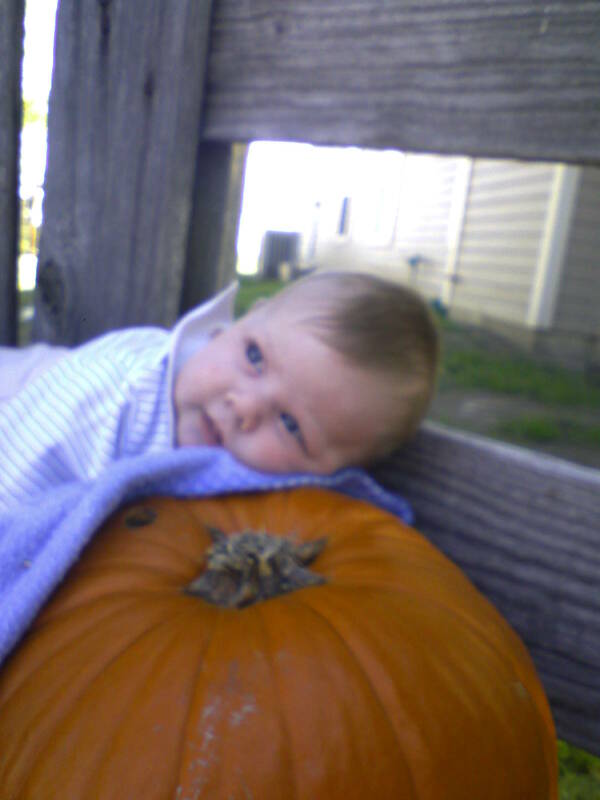 2 days later I lost my grandmother, then 9 short months later, our son Ian passed away. Little did I know how true these words would ring. I hope you enjoyed this trip down memory lane, and I hope that you remember to be thankful for the family and loved ones that you have! We are contemplating much change in our lives right now. Not the least of which is a move from our 2,500 square foot home in the suburbs to a smaller apartment in downtown! That discussion aside, the next biggest change is an alternative approach to our homeschool. As I wrote a few days ago, what we're doin' ain't workin'! I've been researching curriculum and methods and thought I'd share some links to interesting articles with you. Right now, we're (and by "we're" I mean "I" since I haven't discussed this with my hubby yet. His usual response is "Whatever you want to do is fine with me"!) leaning towards a Natural Method, not quite as child-friendly as Unschooling, but not as rigorous as a Classical approach. Besides the obvious appeal of not making lesson plans (yay!) this approach appeals to me on several levels. For starters, I am a project-based person. I like to throw all my energy at the topic de jour. That's one reason I so enjoyed event planning. A problem is presented, researched, solutions presented, decided, implemented and the fruits are enjoyed. - Then it's on to the next problem (er, event). Is it just me? I don't think so. I think that the majority of people are wired this way. It is a rare employee who can be satisfied to sit at a desk 8 hours a day, answer the same question or stamp the same papers day in and day out and ENJOY their job. I think that most people LIKE to engage their brains, solve problems and enjoy the fruit of their work! In a this model, an individual (or family) identifies an area of interest (say horses) and then builds the adventure ("education") around it. What are they? Where do they live? What do they eat? How do they impact the economy? Then you can put on your "what if" thinking cap (a favorite game of our house anyway!) and create a scenario (I'm going to be a horse-farmer - what do I need?) research, present, draw, write, figure out the finances, look at land in your area - the limits are really only bounded by your imagination. Doesn't that sound more interesting than reading a textbook, memorizing answers long enough to pass the test, and then dumping it out of your short term memory? Here's a great article that inspired this rant post! This is how I categorize myself. I've thought of running an anonymous blog where others like me can join and freely share our feelings without our true identities being revealed. No one in our homeschool co-op would know. Friends at church who have us on a super-parent pedestal wouldn't be tempted to remove us. Husbands wouldn't lose confidence in us. Parents wouldn't know our inner struggles. We would be free from judgment! Alas, that is a pipe dream and no way to live your life. I yearn for transparency and honesty from those around me, so I must also offer it. 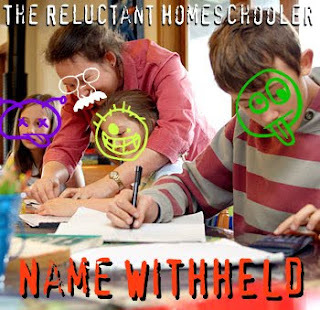 I'm not a gung-ho, homeschool is the only way to go, "only parents who don't really love their kids send them to public school", God says every Christian must homeschool, this-is-what-I've-wanted-to-do-my-whole-life kind of homeschooler (at least I didn't start in any of those veins). For us, homeschool was an educational choice, based on our youngest school-aged child's auditory/kinetic learning style and our local charter school not offering much more than "visual/reading" learning encouragement. For curriculum, I chose Alpha Omega’s Switched On Schoolhouse for several reasons, but mostly because it was a package deal (no lesson planning), on the computer (no papers to keep up with) and the multi-media instruction (no lectures from me). Over the last year, along with my confirmed suspicion that I stink at being consistent, I’ve learned that I’m going to have to do more. If I want our homeschool to be successful (and I do), then I’ve got to step up to the plate. BLAHHH (I don’t want to!) I’ve got to be more involved, be 3 steps ahead, make plans, research curricula, put together a customized plan for each child based on their individual learning styles and interests. See, the problem with my children’s education isn’t wholly them. I knew this, that’s why I chose to homeschool! The largest problems are the method and approach. So why did I copy the method and approach? It’s a bit more flashy and technical, but it’s still the same approach. The problem with my children’s education is me. Just like the only thing standing in between what God desires for me, and me, IS me. I have chosen to take responsibility for my children’s education, so therefore I must bear that “cross” DAILY. I must “say no to the things I want”. I’d like to fall on the floor and pitch a big fit right now! It would be so much easier to send them back to school, put the toddler in a mother’s day out, and get a part time job so I could afford to go for lunch with friends and pedicures! It would be more fun to be “free” during the days, and I could rationalize it by being active in their school and volunteering at church or a soup kitchen, or a homeless shelter. BUT, that’s not MY cross. My “cross” is my children. And just like the cross of Christ, it is not a burden, it is not meant to be heavy and oppressive. It is an unspeakable comfort that our Lord Jesus is God's Anointed; this signifies that he was both appointed to be the Messiah, and qualified for it. Jesus discourses concerning his own sufferings and death. And so far must his disciples be from thinking how to prevent his sufferings, that they must prepare for their own. We often meet with crosses in the way of duty; and though we must not pull them upon our own heads, yet, when they are laid for us, we must take them up, and carry them after Christ. It is well or ill with us, according as it is well or ill with our souls. The body cannot be happy, if the soul be miserable in the other world; but the soul may be happy, though the body is greatly afflicted and oppressed in this world. We must never be ashamed of Christ and his gospel. “It is well or ill with us, according as it is well or ill with our souls”. Again, it’s back to ME, the condition of my soul, my heart, my relationship with Christ. Aye Aye Aye! Where’s the magic bullet? A pill that will solve the issue, a panacea? There is no such thing. The idea of cultivation and exercise, so dear to the saints of old, has now no place in our total religious picture. It is too slow, too common. We now demand glamour and fast flowing dramatic action. A generation of Christians reared among push buttons and automatic machines is impatient of slower and less direct methods of reaching their goals. We have been trying to apply machine-age methods to our relations with God. We read our chapter, have our short devotions and rush away, hoping to make up for our deep inward bankruptcy by attending another gospel meeting or listening to another thrilling story told by a religious adventurer lately returned from afar. So, my friends. That is the truth. I am lazy. I would rather sit back and let someone else do it for me, Spiritually and Educationally. I’ve been moved in the last few months to be even more authentic, more honest, more transparent, but most of all to eagerly desire God and accept all that comes from His hand without question or complaint, trusting that He works all things together for good to those who are called according to His purpose. So, I’m off in search of curriculum, methods and goodies that will empower my children, but first, I’m going to pray. I’m going to trust. I’m going to seek God’s wisdom. I’m going to ask Him to make up for my (serious) shortcomings. I’m going to ask Him to help me be what each of my children needs. I recently downloaded a free eReader for my Palm Pre phone. I did this because I discovered that I can download some eBooks for FREE at Project Gutenberg! Anyway, I rediscovered a classic book that I enjoyed several years ago: The Pursuit of God by A. W. Tozer. It was written in 1948, on an overnight train trip. "There can be no doubt that this possessive clinging to things is one of the most harmful habits in the life. Because it is so natural it is rarely recognized for the evil that it is; but its outworkings are tragic. [Redeemed] helps Bloomin' Babies Celebrate 100 Followers! Check out a contest to win a $25 gift certificate to my [ReDeemed] shop on Facebook! 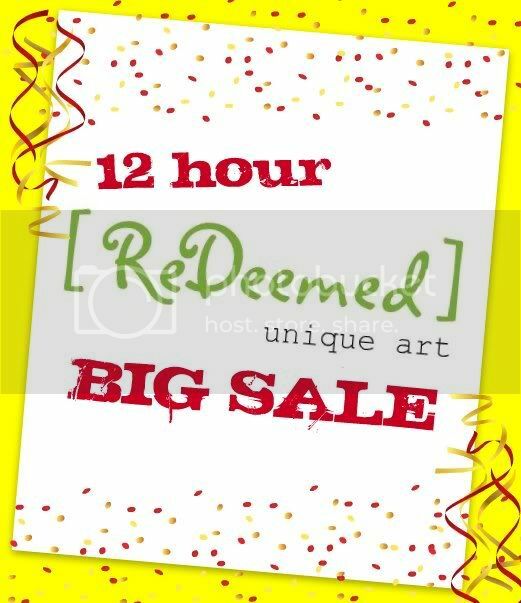 [ReDeemed] 12 hour sale - HALF OFF! 12 hours only - everything will be HALF OFF! On Facebook? RSVP to the event here! To purchase an item, go to the Facebook Fan Page. Locate your favorites it in one of the galleries not marked "inspiration". I will send you a PayPal invoice and you will have 1 hour to respond and pay, or your item will be available to the next customer. take the day off of work! Orders will be processed in the order they are received, by time stamp on the message or e-mail. There is NO LIMIT on quantities ordered! BIG SALE is on inventory merchandise only, not valid on custom orders or previous purchases. All payments must be completed by 11:00 PM CDT on July 7th. Merchandise will be shipped via the most economical USPS method unless otherwise requested/paid for. Marchandise will ship on or before July 9th.